Christmas, Children, and Snow: Who could ask for more? Christmas has come and gone now. The snow lingers on and so do I. Whether I am running out in the cold air or curled up on my bed reading, I’m enjoying every moment at home. One of the greatest gifts of being at home this winter has been getting to know my nieces and nephews better. I’m known as “the baby-hater” (thanks for the nickname, Raph) in our family. It’s not that I dislike children, really. It’s that I think they tend to dislike me. Besides, when it comes to being an aunt, I feel a bit inadequate in comparison. Auntie Mary and Auntie Clare not only sounds better than Auntie Colleen, but those two really have a passion for children. Clare and Mary can and do spend entire days with our nieces and nephews and come out beaming, with children clinging to them, laughing and begging for more time spent with them. I’m the aunt who comes and visits and plays…for about 10 minutes, I can run 10 miles and be chipper by the end, but playing tag with a group of small children makes me want to take a nap. 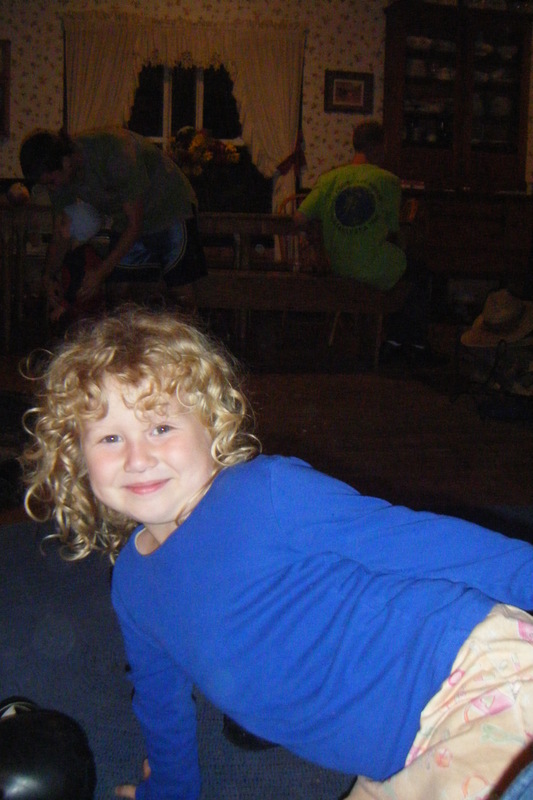 I really do love my nieces and nephews, even though I don’t have the endurance to keep up with them for long. Yesterday, Gabriel and Aurora and company visited for Christmas Day. It was so easy for me to run up to my darling god-daughter, Antonia. 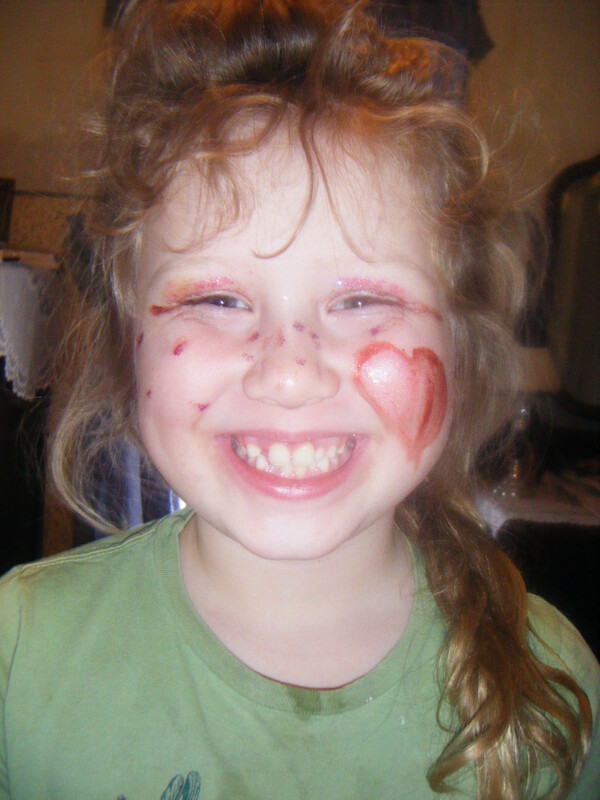 With her huge smile and indiscriminate love, she is so easy to love. I sometimes struggle with the older ones, Claire, Adeline, and Thaddeus, who aren’t content to just sit in my lap and smile and laugh as I bump them up and down. But yesterday, I found myself snuggled up on my bed with Claire and Thaddeus watching Downton Abbey. The afternoon sunlight glinted off of Thaddeus’ eyelashes as hes lowly started to drift off into sleep and Claire was warm and solid next to me. And I realized that I love these kids so very much. I may not be the best aunt in the world, but I’m trying. That was one of the best Christmas presents I’ve ever received, just spending time with the little ones. I’ll do my best to be there for you, little nieces and nephews, but please excuse me if I sneak off for a break every now and then. 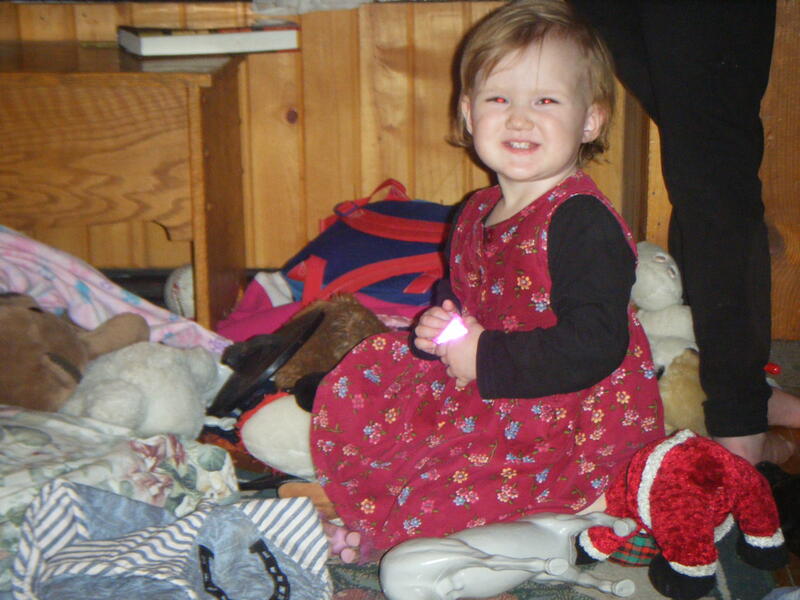 This entry was posted in Colleen and tagged Aunts, children, Christmas, Family, Home, Neices, Nephews, Wisconsin on December 26, 2012 by sweetridgesisters. I’ve always loved being around little kids. For many, many reasons. Little children are like fresh air in a tightly packed space. This brings me to the subject of my beautiful nieces and nephew. I look forward to each and every time I see them. 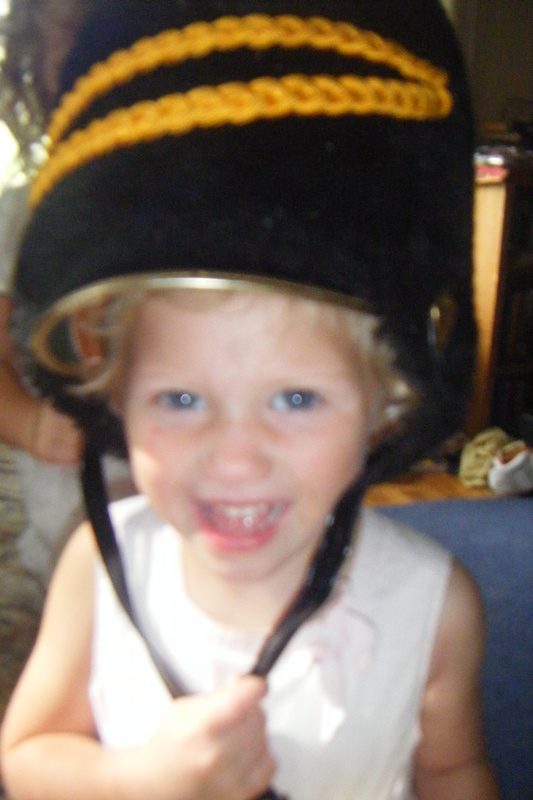 This picture is blurry, but I couldn’t resist the joy on Adeline’s face as she models my mom’s vintage band hat. We always have so much fun. But the really special events are the overnights. 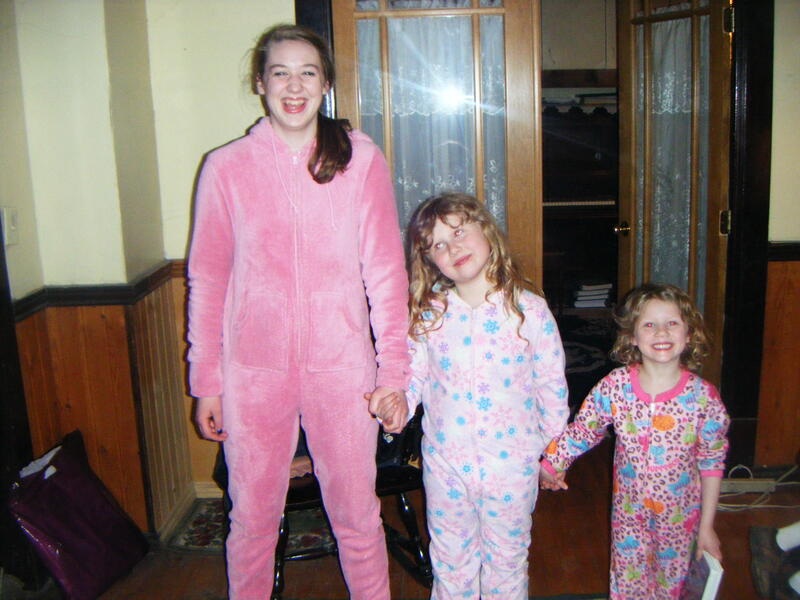 Because they understand my obsession with pajamas. Uncle Cale doesn’t. He ruins the picture. 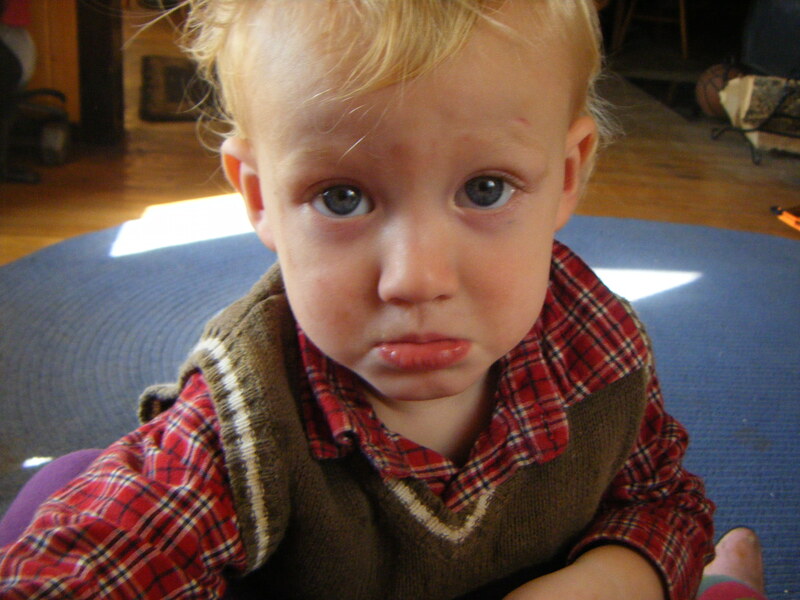 Little kids…they’re so darn cute. 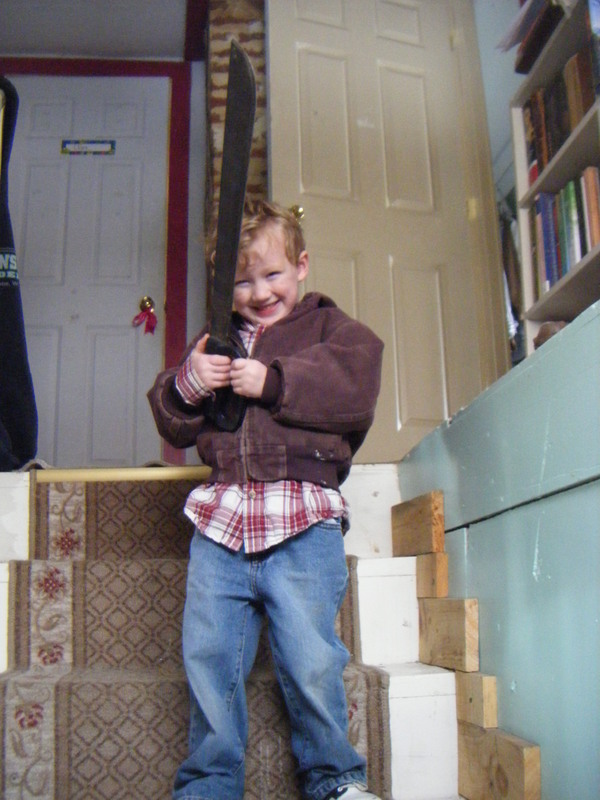 And yes, of course, my 4-year-old nephew is gleefully holding my brother’s machete. What else would it be? He told me he’s gonna protect me from the pirates with it. What would we do without him? 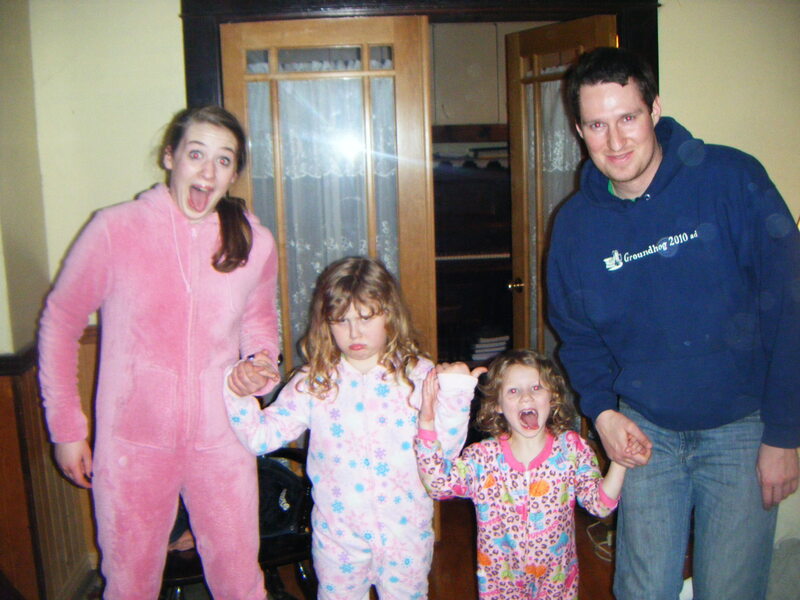 This entry was posted in Clare and tagged children, Family, fun, joy, pajamas on March 8, 2012 by sweetridgesisters.